Japanese website Game Watch recently sat down for an interview with three key figures from SEGA and M2 handling the SEGA AGES collection on Nintendo Switch. 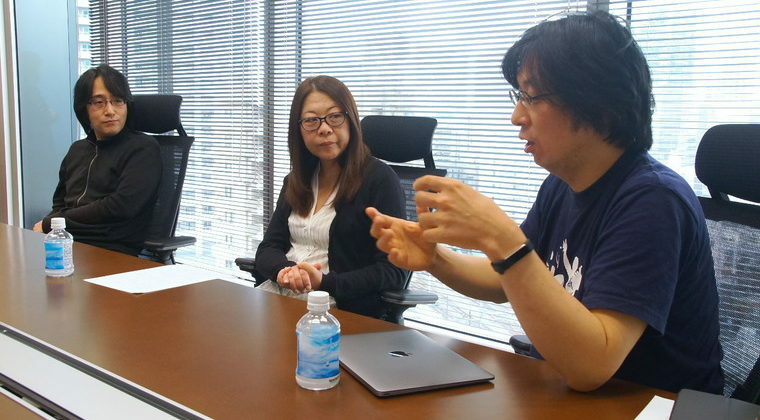 The mega interview contains all kinds of details on new features to the Switch version, the incredible headaches that 80’s game development caused them, and never-before-heard stories from development of the original “Phantasy Star”, firsthand from Rieko Kodama, who was the original designer for the game. It’s a must-read for die-hard fans. And if that wasn’t enough, we’ve included some discussion about the SEGA Ages series in general that you may have missed last week (with some extra comments). We’ve prepared an exclusive translation of the in-depth interview, and hope you enjoy. Released in 1987 for the SEGA Master System, it was the first full-scale RPG made by SEGA. Making use of the large capacity 4Mbit cartridges for the system, “Phantasy Star” wowed gamers upon release with gorgeous visuals and monsters that were animated during battle (a rarity at the time), and a story that fused science fiction and fantasy together, immersing players in a unique world like they had never seen before. After losing her brother, the heroine Alis swears to stop the tyranny of the ruthless King Lassic. The story unfolds as Alis embarks on a journey across three planets and joins forces with others on her adventure. “Phantasy Star” has a truly unique world where the player experiences elements of both sci-fi and fantasy brilliantly woven together. In this game, players will encounter everything from robots patrolling space stations with high-tech spacecraft, to fantastical dragons that they have to fight with swords and magic. The series continued strong, releasing on the Mega Drive (SEGA Genesis) for total of four mainline entries. “Phantasy Star” has also seen releases on SEGA Saturn and Playstation 2 as part of previous “SEGA AGES” collections. The “Phantasy Star Online” series, which started off on the SEGA Dreamcast, is still being expanded today as a mainstay RPG for SEGA. Important to note, Mrs. Rieko Kodama, who is both the lead producer and director of the “SEGA AGES” series on Nintendo Switch, was one of the designers on “Phantasy Star” during its original development; she was also involved in future games in the series on the Mega Drive (SEGA Genesis). Interviewer: This will be the first game that you’ve released after the “SEGA AGES” series first kicked off on Nintendo Switch with two titles. Was there a specific reason you decided to release “Phantasy Star” as the third title in this series? Kodama: Well, I really wanted to put an RPG in the series, and since I’m the producer this time around, Okunari suggested to me that we go with “Phantasy Star”. Mr. Matsuoka, the director over at M2, even told me he was a fan of “Phantasy Star”. Horii: Yeah, we all are! We were so hyped for it! Kodama: So there you have it. Everyone wanted to do it and they were all excited about it. Shimomura: I knew that when it came to “Phantasy Star”, I only had one objective: to figure out where in the lineup it would fit. After that, I knew I could leave everything up to Kodama and the team. I knew that even if this would be all the support I gave them, both Kodama and M2 would knock it out of the park and make something even beyond my greatest expectations. For example, with something like “Out Run”, I would naturally think, “Oh, we’re gonna want Hiroshi [Kawaguchi] to be involved and to make some new music.” So I would be sure to communicate that to the team and ensure that it happens. But with “Phantasy Star”, it was different. I mean, we have *the* Rieko Kodama working on it alongside all of the talented staff at M2 who are not just professionals, but also dedicated fans of the game! Just in cultivating this environment that has this incredible synergy, I was sure that I had done my part on “Phantasy Star”. Horii: I’d say that all of the members of M2 that were fans of the game back when it first came out were pretty happy that they got to ask her all kinds of questions. –That makes sense with Kodama being one of the original creators. On that note, back when M2 worked on the “SEGA 3D Reprint Archives” for Nintendo 3DS, there actually weren’t any RPGs in that series; the releases had more of an arcade motif. So the fact that “Phantasy Star” came out so early in this “SEGA AGES” collection on Nintendo Switch really sets a different tone for how this series is going. Horii: It does, definitely. There’s a lot of bug testing involved with RPGs, and it makes work bottleneck at that step in the process since it takes so much extra time. In addition to that, we definitely wanted to feature games utilizing stereoscopic 3D with the “SEGA 3D Reprint Archives”, so to rework every scene of “Phantasy Star” into 3D would have been an incredible undertaking. But don’t get me wrong! I would have loved to redo everything to make it work in stereoscopic 3D! –Very interesting. Could you tell us when development started? 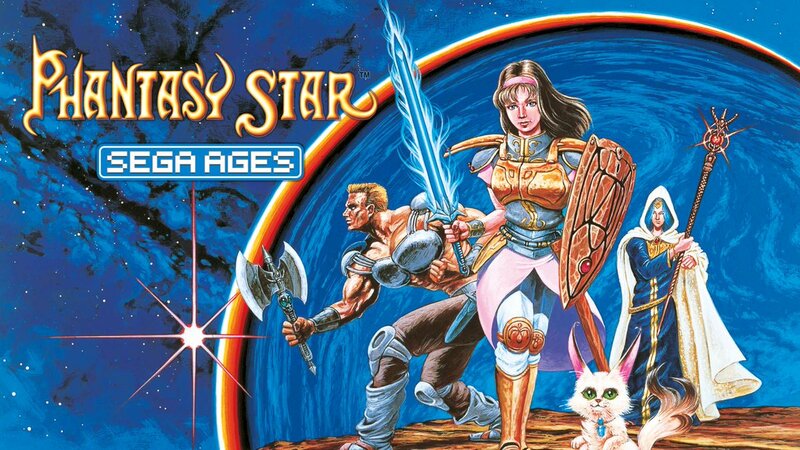 Development for the first set of two releases began sometime last winter, so we’re curious if “SEGA AGES Phantasy Star” was developed at the same time. Horii: I think we started working on it around the same time. During development, we have “staff that works on the code” and “staff that works on the Nintendo Switch” for each title, but we have a lot of staff working on code, so we’re constantly parsing a lot of titles. –So you always have several “production lines”, if you will, going at the same time and that’s how you’re able to work on parts of each title one after another, right? Horii: You got it. Sometimes other staff who aren’t involved with “SEGA AGES” hear sounds around the office from games like “Gain Ground” and “Out Run” while we’re working on them. They always come over and say, “Oh, no way! I remember this game!” or “Wow, you get to work on this game, too?” And they always seem like they’d rather be working on our stuff than their own projects. –This isn’t the first title that M2 has worked on in the “Phantasy Star” series, is it? You previously worked on a title for the Playstation 2 that released back in 2008, “SEGA AGES 2500 Series Vol. 32: Phantasy Star Complete Collection”. When working on the Switch version, did it feel like you were building off of what you had established there? Horii: We did have some staff that worked on the PS2 version also work on this new version for the Nintendo Switch, so we were able to easily implement previously refined features like a mode that increases the experience points your party gains so you can enjoy the game at a more streamlined pace. –And how about you, Kodama? “Phantasy Star” has been ported and worked on by many people in the game’s history. How does that kind of attention to something you helped create make you feel? Kodama: Horii already mentioned it a bit ago, but… It makes me feel so embarrassed to see what I drew back then. I pleaded with them not to use those illustrations, but… That’s pretty much how I feel about it (Laughs). I actually felt the same during development of the “Complete Collection” back on PS2. And I’m actually in charge of the project this time around, but I ended up reluctantly tell them, “Yeah, sure. I guess go ahead and use them…” (Laughs) We ended up using illustrations of Alis and Noah that I made for the original instruction booklet, the back cover from the Mega Drive/Genesis game, and even some from the “Phantasy Star IV” book. Horii: We were all thrilled because we’re big fans of the game. Okunari included! Too bad he couldn’t be here today. We know all these little things that came out over the years about the game, like the “Phantasy Star IV” book she mentioned. –It seems like some of you might even know more about this game than Kodama, herself! I’m guessing this is why you said it makes you feel embarrassed. Horii: You know that word “Dark History” that was popularized by “Turn A Gundam”? I think these past 30 years have kinda been like that for her and she wants to pretend like it didn’t happen. But Kodama is smart. She knows that fans would really love to see all this art come back, so she gave us her permission after a little reluctance. (Laughs) That’s the sign of a true game developer. –On a related note, you had to persuade Kodama a little bit, too, didn’t you, Shimomura? Kodama: Did you know that Shimomura was actually in charge of the remake on PS2, “Phantasy Star Generation 1”? I definitely had my share of oppositions to him back then… (Laughs).